THE NATIONAL CONFERENCE HAS ROOM BLOCKS WITH TWO HOTELS. PLEASE SEE BELOW FOR THE HOTEL RATES AND INSTRUCTIONS TO MAKE A RESERVATION. The NLLSA room block can sell out prior to this date. Once the block is sold out, room rates cannot be guaranteed. 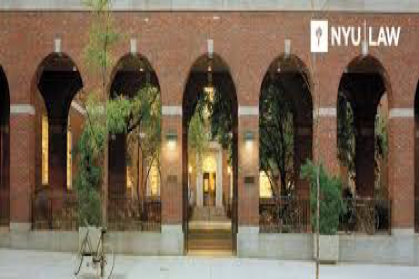 Tax Exemption: If your organization or Law School has NY ST- 119 Form and pays for rooms with corporate school credit card with the school’s name on it, those reservations will be exempt on taxes. Tax Exemption: Taxes are exempted. No need to provide forms or additional information. Reservation can be made through central reservation by calling 888.627.7083 under the NATIONAL LATINA/O LAW STUDENT ASSOCIATION room block. WE HAVE CREATED A TRAVEL INFORMATION GUIDE TO HELP ATTENDEES NAVIGATE NYC AND THE LOCATIONS OF THE CONFERENCE. FOR ANY QUESTIONS, PLEASE CONTACT US AT CONFERENCE@NLLSA.